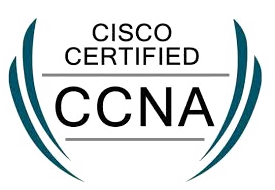 Cisco Certified Network Associate (CCNA) validates the ability to install, configure, operate, and troubleshoot medium-size route and switched networks, including implementation and verification of connections to remote sites in a WAN. CCNA curriculum includes basic mitigation of security threats, introduction to wireless networking concepts and terminology, and performance-based skills. This new curriculum also includes (but is not limited to) the use of these protocols: IP, Enhanced Interior Gateway Routing Protocol (EIGRP), Serial Line Interface Protocol Frame Relay, Routing Information Protocol Version 2 (RIPv2), VLANs, Ethernet, access control lists (ACLs). P2G tecch by providing high quality training ensures that our candidate will perform better in any job interview, due to the amount of knowledge they possess it makes them join in dream comes true job. We welcome you to join us and become an expert in technology.